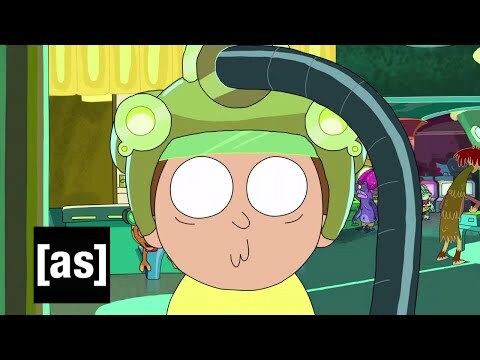 Rick and Morty explores a lot of classic sci-fi tropes, like faster-than-light space travel, exploring alternate realities, and building an amusement park inside of a homeless man. So how accurate is the science behind Rick and Morty plots? Well... not very, but there are bits of truth to every episode. It's possible to disagree with science. If some committee of fancy a**holes disagree about something, you can disagree back. What you can't do is just add a sci-fi word to another word and hope it means something. Ah, references. The entire show is built off of the premise of multiple dimensions, all of which are slight to radical variations of our own. This concept is called the Many Worlds Interpretation in the scientific community, and it has been an area of exploration since the 1950s. The science behind Rick and Morty may be exaggerated, but it's still a core part of the narrative. Some of the best jokes in the series are derived from complex real world ideas and theories. While you may not have noticed it, that basis in reality really grounds the series and gives it some much needed weight. Not that everything is, like, super serious of course. Rick and Morty's Season 2 premiere, "A Rickle In Time," is pretty crazy. Like, bananas in fact. Basically, Rick, Morty, and Summer get removed from time and split reality into multiple pieces. The entire episode is based on Heisenberg's Uncertainty Principle, which states that you can never know the exact position and exact speed of an object. See, if you measure something's position, its speed changes, and vice versa. By trying to measure their exact place and speed in space and time, they removed themselves from time all together. 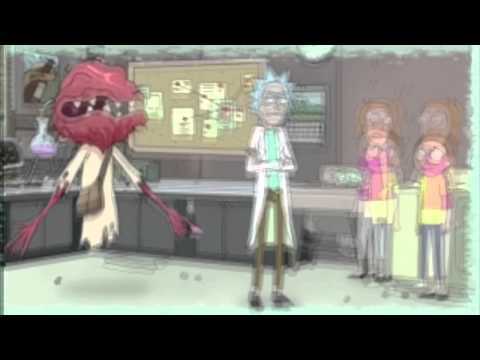 The concept of an infinite multiverse basically allows Rick and Morty to do whatever they want. You know, like that time they destroyed the world with a terrible virus and had to travel to another universe so they could basically kill themselves and take their (own) places. The concept of parallel universes is nothing new, and has actually been around since the '50s. The Many Worlds Theory suggests that every time a new event occurs, multiple universes are created to reflect all of the possible outcomes. In "Rick Potion #9," Rick tries to create a serum that will make Jessica fall in love with Morty, but he accidentally turns her (and everyone else) into a giant praying mantis monster instead. To quote the man himself, "Yeah, I don't know what I was thinking. Mantises are the opposite of voles? I think DNA is a little more complicated than that, Morty. This should do the trick! Koala mixed with chimpanzee, rattlesnake, cactus, shark, golden retriever, and just a smidge of dinosaur." Modern scientists would probably argue that DNA is even more complicated still. In "Mortynight Run," Rick and Morty ditch their responsibilities and spend some time at Blips and Chits playing Roy, a virtual reality simulation game where you play as a guy named Roy, who lives a totally normal life. Not only is virtual reality gaming blowing up, but some scientists have theorized that our entire reality is actually nothing more than a computer simulation. What if we're all just characters being controlled by different people at some crazy outer space arcade? Could be worse, really. Life could be totally meaningless.